Favorable conditions and high prices for steel and iron at the world market have profound effect on rapid development of Ukrainian mining and steel industry. General overview and key indicators. Ferrous metallurgy is Ukrainanian specialization in the division of labor within the CIS. In 1989-1990 among the countries of former Soviet Union, Ukraine gave 45,6% of commercial iron ore, 77% of manganese ore, 45% of iron, 34,4% of steel, 34,5% of finished steel, 33% of steel pipes. This sector holds one of the leading places in the modern economy of Ukraine. According to the recent data its share amounted to almost 25% of the production value of the basic industrial sectors in the country. Ferrous metallurgy is of great importance in Ukraine's foreign trade and its main exportable industry. The unique natural conditions for development of the metallurgical complex were formed in Ukraine. Ukraine possesses biggest fuel and raw material bases of ferrous metellurgy, those of world importance, – Donetsk coal basin with coking coal ranks, Kryvy Rih iron ore and Prydniprovsky manganese ore basins; large, practically inexhaustible deposits of limestone, dolomite, refractory clays. Such combination of essential raw materials, energy and technological fuel, water resources, necessary for the development of ferrous metallurgy, as well as their concentration on comparatively small area doesn’t exist in any other country of the world. Iron ore base of ferrous matallyrgy of Ukraine is represented by Kryvorizky and Kremenchutsky basins, Bilozersky and Kerchensky deposits. Ores of Kryvorizky basin are diverse (mainly martite and hematite-martite with iron content in the amount of 50-62% and more) are extracted only by mining.  Poor ore (ferruginous quartzite) with 28-39% of iron are mined in open way (career). Their reserves are estimated at 30.6 billion tons. The amount of explored reserves of iron ore in Kryvy Rih basin is about 18 billion tons. By reserves this basin belongs to the world's largest. More than two dozen of large mines and careers and five mining and concentration complexes operate here. The amount of explored iron ore reserves of Kremenchtsky basin amount to 4.5 billion tons. Geological exploration in the basin is not yet completed. The basin contains ores with iron content even up to 69%, but mostly within 35-38%. Belozersky iron basin includes several iron ore deposits. Common value of basin reserves (to the 1500 m depth) is about 1.4 billion tons. Kerchensky iron basin covers several deposits, located in the Northern and Eastern coast of Kerch peninsula. Its common reserves amount to 1.8 billion tons. Iron content in the ore reaches 37-40%. Besides, it includes significant admixture of manganese, vanadium, phosphorus, arsenic. By the reserves and extraction of the ore Prydniprovsky manganese-ore basin is the second in the world. It concentrated 80% of manganese reserves of the former Soviet Union. In 1989-1990 Ukraine provided 75% of all Soviet Union manganese ore mining. The basin is located in the southern part of Dnipropetrovska and Zaporizhska regions and consists of three subregions: Nikopolsky (reserves – over 1 billion tons), Velykotokmaksky (reserves – 1.4 billion tons) and Inhuletsky (reserves – about 600 million tons). Total basin resources exceed 3 billion tons. For production of refractory materials kaolin is very important. Its reserves in Ukraine exceed 80% of all CIS reserves. At present, there are approximately 70 ferrous metallurgy enterprises in Ukraine, among which 14 steel mills, 3 ferroalloy, 16 coke and chemical and 6 pipe plants, 8 mining and concentration complexes and about 20 major steel structures plants. Ukraine has one of the world's largest steel mills. For example, in Kryvy Rih the most powerful blast furnace with capacity of 5000 m3 is built, which can provide 4 million tons of cast iron per year. Recently new pipe and ferroalloy branches of metallurgical industry of Ukraine have significantly developed. Important factor that accelerates increasing capacity of pipe production in Ukraine is intensive building of trunk oil and gas pipelines from the former Soviet Union to the Western Europe. Due to rapid growth of demand for large diameter pipes their production has significantly increased at all pipe plants. Metallurgy of Ukraine is the main supplier of foreign currency into the country. In some years the value of exported steel amounted to more than $ 5 billion. Besides, its share in the total exports is around 40%. Ukrainian metal is exported to all over the globe. In Ukraine, there are also discivered and developed deposits of such raw materials as aluminum, magnesium, titanium ores, zirconium, nickel, mercury and others. Ukrainian steel and iron - market trends. This year all major Ukrainian steel mills significantly increased production: melting of steel increased 6% around 41 million tons, finished steel +7% up to 36 million tons and iron + 7% almost 33 million tons. Fortunately, the pessimistic forecasts of experts, who predicted collapse of Ukrainian steel sector this year didn`t come true and key players rather easily overcame last year`s Russian gas price surge. Favorable conditions of the world steel and iron market had a positive influence on the sector and domestic market. First of all, price for steel rose on the world market and secondly raw materials (mainly coke) became cheaper on domestic market. In addition, the whole year Ukrainian mining enterprises and steel mills actively invested in renovation and modernization of production (around $ 1,5 billion). Ukrainian metallurgy – is an export-oriented branch of Ukrainian industry. Around 80% of all produced steel, iron and metal products are exported abroad. Successful trade in metals on international market is not only a basis for strong metallurgy, but also for the whole Ukrainian economy, because steel and iron production accounts to almost 25% of GDP and around 40% of all financial earnings of the country. In developed countries 80% of mining and steel industry products are sold internally and used as raw material for production of ready-made integrated goods, like cars for example. 44% or 13 million tons of Ukrainian steel exports account to semifinished products. Ukrainian steel makers instead of substantial processing and sales of value added products prefer big volumes and profits from exports. From year-to-year achieving high result for Ukrainian steel producers is becoming harder and harder: Chinese companies are expending their sales in the North Africa, as well as Europe, the USA and Canada, having overproduction of steel, is also becoming more protected. According to official statistics depreciation of metal plants equals to about 70%, power-consumption of Ukrainian steel makers is 1,5-2 times higher than of their European counterparts, 50% of all steel products are made by out-dated equipment. Some of these trends, strict competition and gas price surge forced Ukrainian steel producers to modernize and combine different enterprises into vertically integrated and specialized production chains. All business and reconstruction plans are intended to modernize production, decrease costs and increase quality of products. In order to attract capital to achieve the above-mentioned goals, many leading producers in the sector have publicly placed their shares for sale (IPO). All major Ukrainian steel makers predict increase in steel and iron production in the coming years. 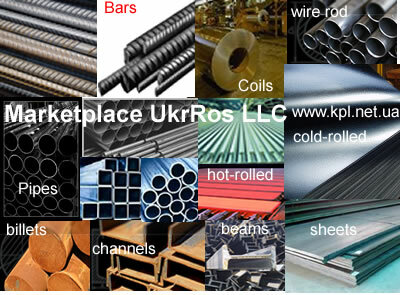 Should you need any help on import of steel, ferrous and nonferrous metal (iron, bars, wire rod, billets, channel, I-beam, plate, sheet, coils, angle, strip) from Ukraine, feel free to contact us through our web site – www.kpl.net.ua. Our professional managers are always ready to assist you in this matter. Because we perfectly know Ukrainian market, we can save you a great deal of time and money, help you to make right decision and prevent fraud. © UkrRos LLC 1993-2011. All rights reserved.